The State governor made the resolve when he visited the army barracks at Ikpoba Hill.The governor who was accompanied by Brig. Gen Ibrahim Garba, revealed that the living condition at the barracks is not good enough. 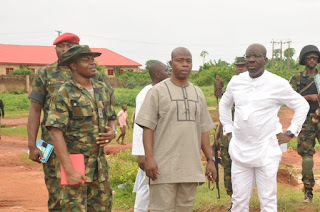 He also condemned the encroachment by neighbouring communities into the barracks’ land revealing that that the ministry of Lands, Urban and Regional Planning would be mandated to get back the lands to the Army. 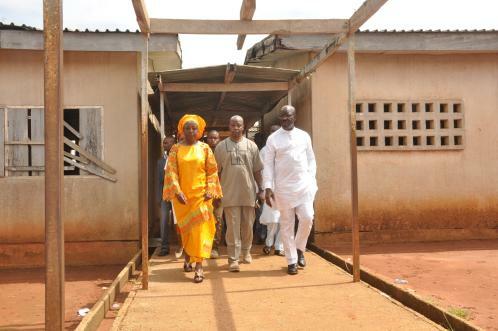 He also revealed that he might relocate some facilities at the Ikpoba Hill barracks to the barracks at Ekehuan. "As you can see this is not an ideal place for military men to live. We are going to work with the Brigade to look at other properties and other barracks to see how we can get land to relocate most of these facilities, including the schools and health facility. “I don’t think it is in the interest of the nation that our Army officers and men live under these conditions."